Derbyshire will begin their new home Vitality Blast campaign with back-to-back local derbies against Yorkshire Vikings and Notts Outlaws. 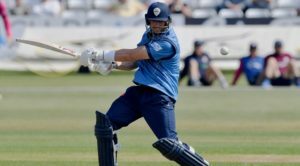 The new season begins with the popular Twenty20 clash against Yorkshire at Chesterfield on Saturday 20 July – a match that is expected to sell out in advance for a record third year in a row. 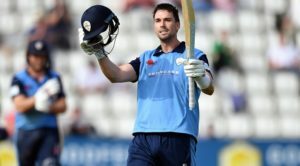 A sold out crowd saw Derbyshire win a thriller in 2018, as Matt Critchley hit 22 off five balls in the final over in a dramatic finish in front of 4,500 supporters. The game at Queen’s Park is followed by the East Midlands derby against Notts Outlaws at The County Ground on Friday 26 July. Another capacity crowd is likely as the rivalry resumes under the lights on a Friday evening. 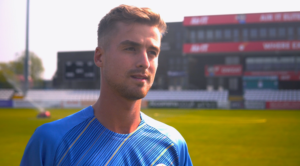 In total, Derbyshire will host seven home games including a Sunday afternoon clash against Lancashire on 28 July and a Tuesday night match against reigning champions Worcestershire on 13 August. Tickets for all Vitality Blast matches will go on general sale in March 2019. Interim Chief Executive, Ryan Duckett said: “We have an exciting run of Vitality Blast games in 2019, starting with the two popular local derbies against Yorkshire and Notts. “We have received terrific support for both derby games over the last few years, with the Yorkshire match selling out well in advance for the last two years and the Notts match at near capacity. Secure your tickets Vitality Blast tickets today by purchasing Membership, offering entry to all regular season games next summer for only £159, or a Six Pack Ticket, giving entry to any six home days of cricket in 2019 for just £76.